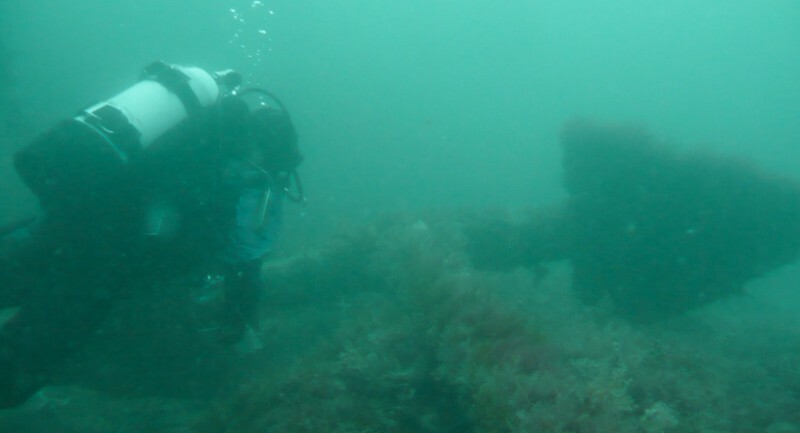 As a maritime archaeologist who dives I am lucky enough to get the opportunity to dive and enjoy some of the 47 Protected Wreck Sites that are currently designated off England (details of all of them may be found in the National Heritage List for England). These nationally significant sites are only accessible with a licence and contain remains ranging from Middle Bronze Age cargoes through to early submarines. English Heritage’s strategy for making the past part of the future includes fostering a dynamic heritage cycle of understanding, valuing, caring and enjoying the historic environment. As you are reading this on a website aimed at the diving community my guess is that you are a diver, however for the majority of the population maritime archaeology is often by its very nature inaccessible, lying deep beneath the waves. However, just because we as divers are able to get to a site doesn’t mean we always know what we are looking at (and I admit there has been many a time exploring a wreck it has taken me a few minutes to orientate myself and realise what I am looking at)! English Heritage are keen to give divers the best experience possible when visiting a Protected Wreck Site and that means we have supported the creation of a number of dive trails on wreck sites designated under the Protection of Wrecks Act 1973. Trails are currently running on three sunken wooden warships (HMS Colossus, Coronation and Norman’s Bay) although plans are in place for another to open later this year on the submarine HMS/m A1. By encouraging responsible access to the sites, these diver trails provide interpretation material and enhanced access by licensed visiting – hopefully helping you get the most from a dive on one of these nationally significant sites. English Heritage also benefits from increased visitors to these sites as divers are encouraged to share with us photos taken on their visits (either directly or via Flickr or Twitter) which can enable site monitoring while the additional presence of licensed divers on site can act as a deterrent to anyone thinking of illegally accessing the wrecks. The trail on HMS Colossus is a good example. Colossus was a 74-gun third rate ship-of-the-line built at Gravesend, and launched in 1787. Her last naval engagement was at the Battle of Cape St Vincent (1797), during the course of which she was badly damaged. The Colossus was stripped of her stores to repair the serving ships, and ordered to return to England, carrying wounded from the battle, along with prize items and part of a collection of Greek antiquities amassed by Sir William Hamilton. The Colossus approached the Channel in December 1798 but came aground on Southward Well Rocks in the Isles of Scilly. The stern section of the Colossus was designated in 2001 and the site includes a large section of ship structure, cannon, and among other items, muskets, mizzen chains and a rudder gudgeon. There is still large amount to see on the seabed and it was realised that this would make a site that would be of great interest to visiting divers. 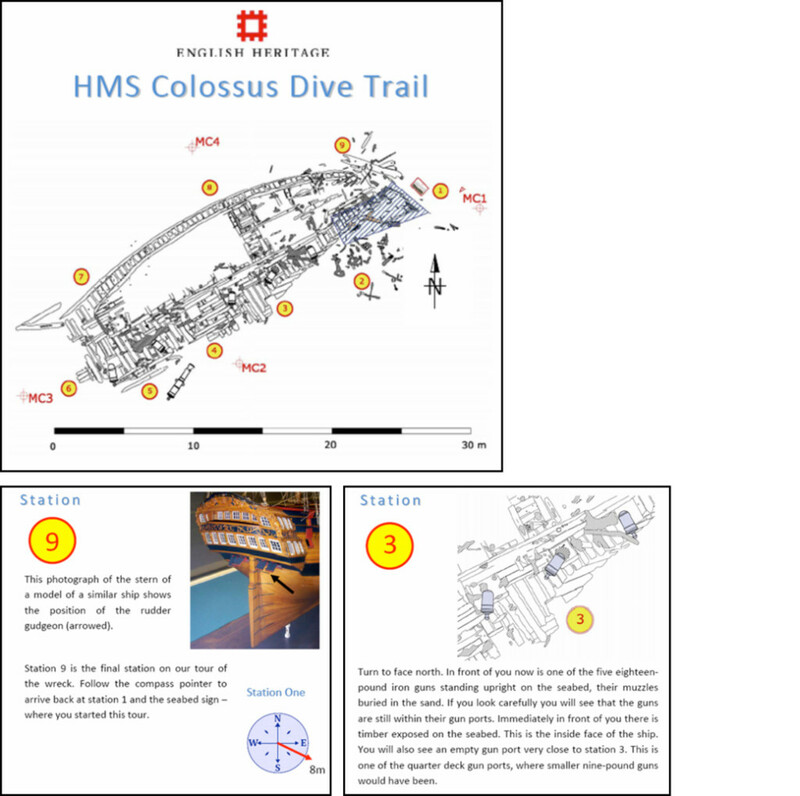 Funding from English Heritage enabled the Cornwall and Isles of Scilly Maritime Archaeology Society to plan and to install a dive trail on Colossus. Divers visiting the site are given a briefing about the site and what they can expect to see by a local boat skipper before they enter the water. 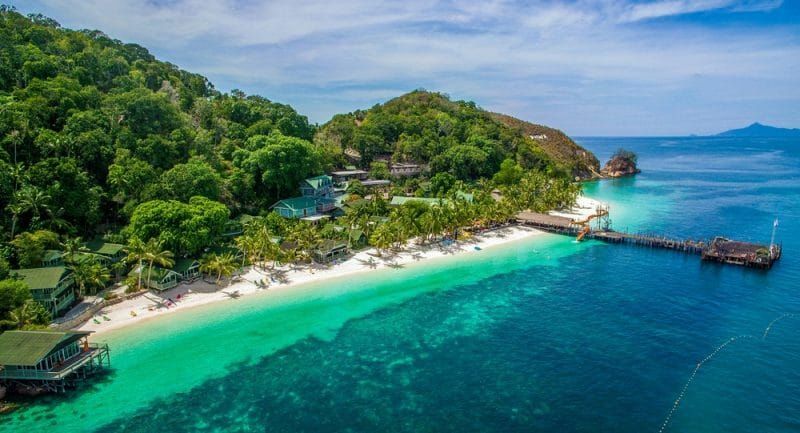 They are also given an underwater guide book which guides them around a trail of numbered seabed stations that highlight interesting features. The feedback from all of the trails has been fantastic, with divers really benefiting from the enhanced visitor experience. The feedback has shown the the trail booklets really do help give divers a real tour of the sites. There are additional surprising secondary benefits too; it has long been established that the heritage values of wreck sites can also provide social and economic benefits through being utilised as a learning or recreational resource or as a generator of tourism. 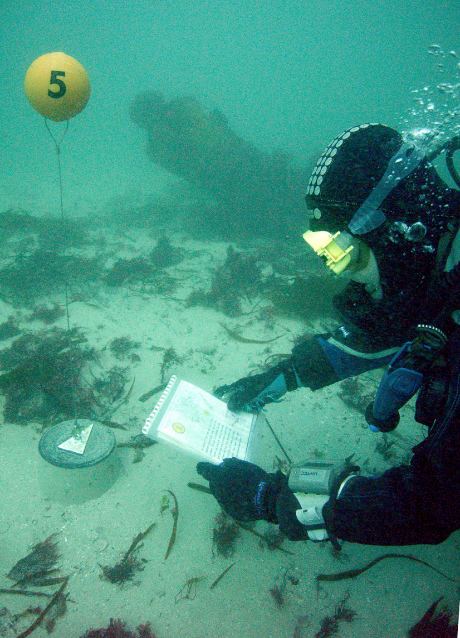 Recent research commissioned by English Heritage, and undertaken by the Nautical Archaeology Society, has also demonstrated that that diver trails have local economic benefits too (over and above heritage values) which demonstrates the importance of underwater heritage and tourism as a contribution to the growth agenda – a fact recognised by all UK Governments. 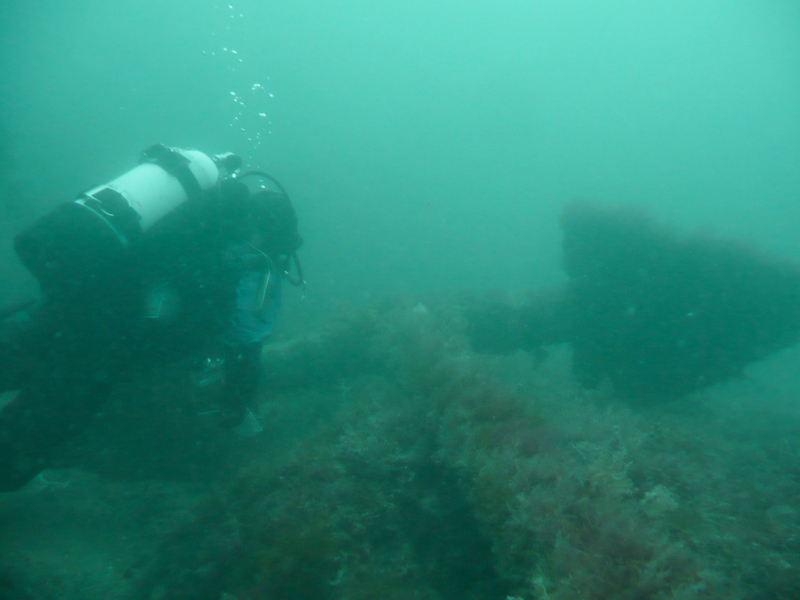 For example, the diver trail on the Protected Wreck Coronation (in the Plymouth area) was worth £42,557 to the local economy last year alone. We do appreciate not everyone can dive and indeed not all of the protected wreck sites are underwater. The Amsterdam, Anne and the wreck at Seaton Carew can all be accessed by non-divers at low tide. To enable interpreted access at these sites a series of installation panels have been installed and who knows; the future may even see smart phone apps being developed to provide further interpretative tours!